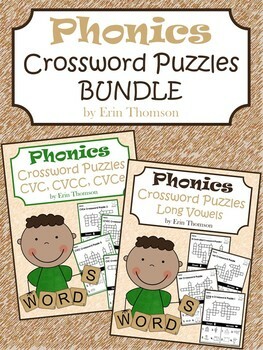 This is a bundle of my phonics crossword puzzles. The bundle includes 42 no-prep crossword puzzles that are great for your word work center. They can also be used during small group time, seat work, or for homework.